da 50 mm 1.8 which hood? which one? as in which hood? Do you use a hood on your 50mm? if not ....why not? Am looking at purchasing this lens and wondered why no hood was available with it? 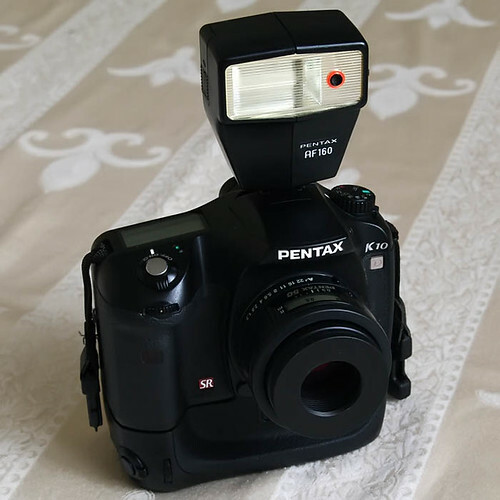 It doesn't come with one because it's a "budget" lens, but for some reason Pentax isn't calling it a DA L.
I see that the front element of the lens is pretty small compared to the front thread. You may be able to use step down ring adapter(s) as a "hood." I'd try a 52-37mm adapter. I was lucky enough to purchase a NOS Pentax RH-RA52 collabsible rubber hood, which is originally for the FA50/2.8 macro lens. ...Am looking at purchasing this lens and wondered why no hood was available with it? It is a bad thing Pentax is doing to save a dollar, if that. Years ago in the days of film, a lot of lenses didn't come with hoods. You always had to pay extra for one or buy a third party one. Then they got away from that and started including hoods which is a good thing considering all the benefits that such an inexpensive piece of plastic or rubber provides. Raise the price a few bucks if they have to and include the hood. I suppose they would rather sell one for $30-60+ bucks. There has to be some huge profit there. I like the rubber hoods best. to cut off troublesome light sources.